Firstly thanks for reading and please do let me know if you have any interesting Blogs that can be shared with the Diabetes community. Is it just me or does anyone else find that your BG level is almost spot on at say 7.2, you have your dinner which is something like Cottage Pie (Mmm yummy my favourite) with some vegetables I then estimate the carbs to be about 70g then wake up in the morning to a BG of 14 ? Could this be to do with the food being high GI or Low GI more than me just getting the carb ratio wrong, it is so frustrating as I am sure you all know as I do my very best to keep my sugar levels on an even keel ? Through the day as I have similar foods most days ie Porridge for breakfast, Apple mid morning and a sandwich at lunchtime I find my BG level at lunchtime is almost always spot on before my lunch at approx 6.2. The main problem is in the evening or before bed when things tend to go a bit haywire, obviously my foods can vary enormously from rice, pasta to fries or even my yummy Cottage Pie. 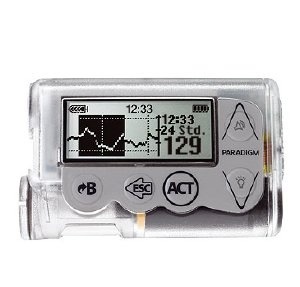 So correction dose given this morning on my Animas Vibe pump so by the time I get to work everything should be back on track and we start the day again. 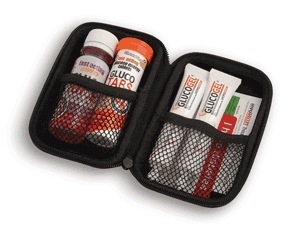 I personally have always used Hypostop gel or GlucoTabs, GlucoJuice and especially like the new HypoWallet which is a great idea however are there any other options for us in an easy to carry packet – let me know please ? Thanks for reading and I look forward to reading your comments or tips.